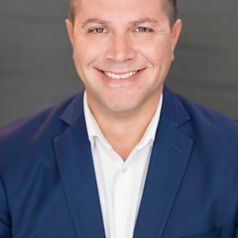 Prior to joining PwC’s Indigenous Consulting (PIC) in January 2014, he was the CEO of the National Congress of Australia’s First Peoples, a representative body that provides a national voice for Aboriginal and Torres Strait Islander people. Previous to these positions, he was CEO of Tranby Aboriginal College in Glebe, the oldest Indigenous education institution in Australia. He has also worked in a range of roles in the NSW Government. The last position held there was in the Senior Executive Service as Executive Director of Policy and Research at the NSW Department of Aboriginal Affairs. He also acted in the position of Director General of the Department on a number of occasions. He has worked for ATSIC and spent a number of years as Senior Policy Advisor to successive Ministers for Aboriginal Affairs in the NSW Government.